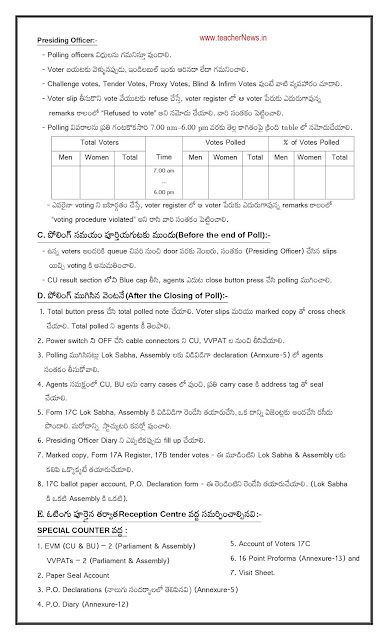 Distribution Centre నుOచి polling material తీసుకున్న వింటనే Hand Book for PO లోని Annexure-19 తో సరిచూసుకోవాల. 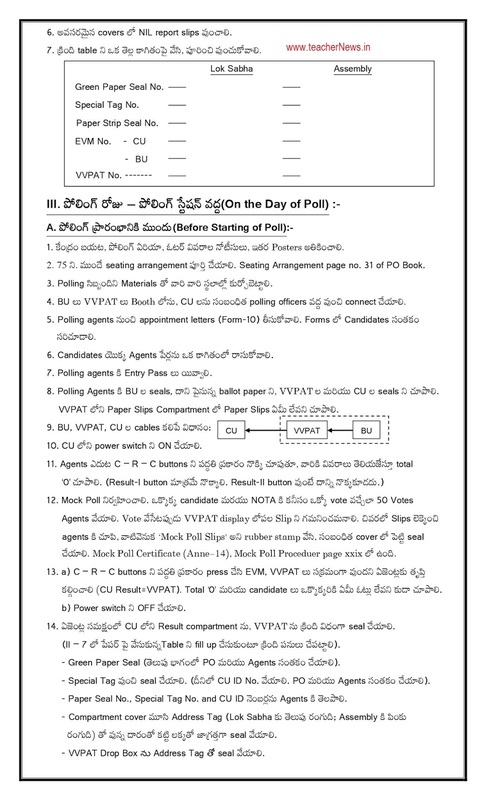 Marked Copy లో RO/ ARO సంతకం ఉిండాలి. 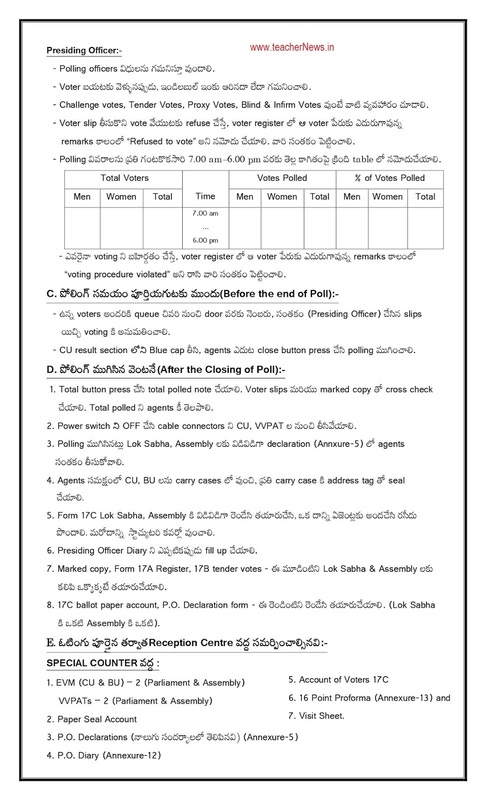 సరిచూడిండి. 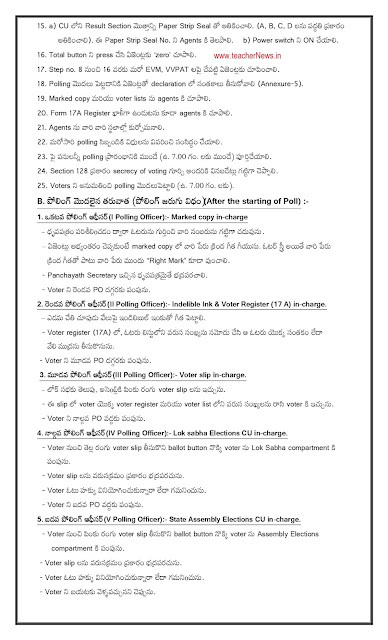 Duties of PO, APO and OPO in Elections 2019. 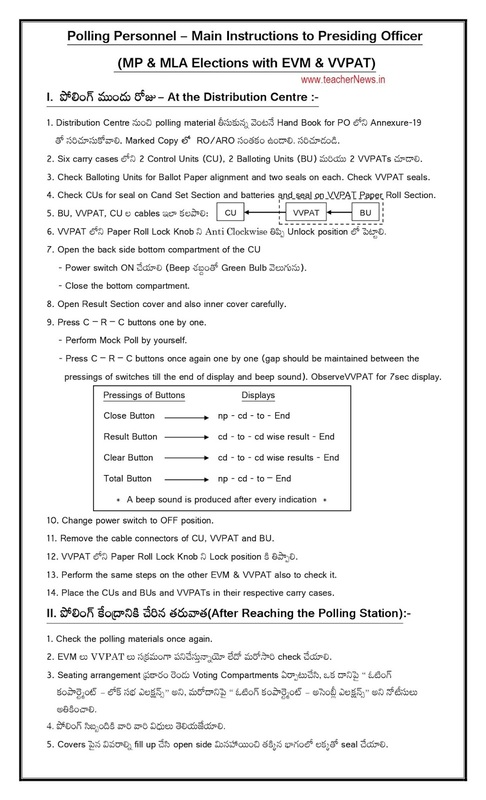 Polling Officers (PO/ APO/ OPO) duties divide at Election Timings. 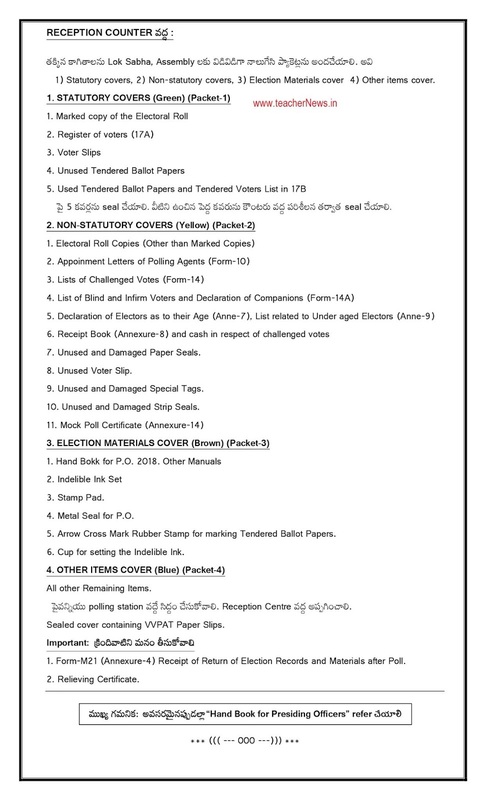 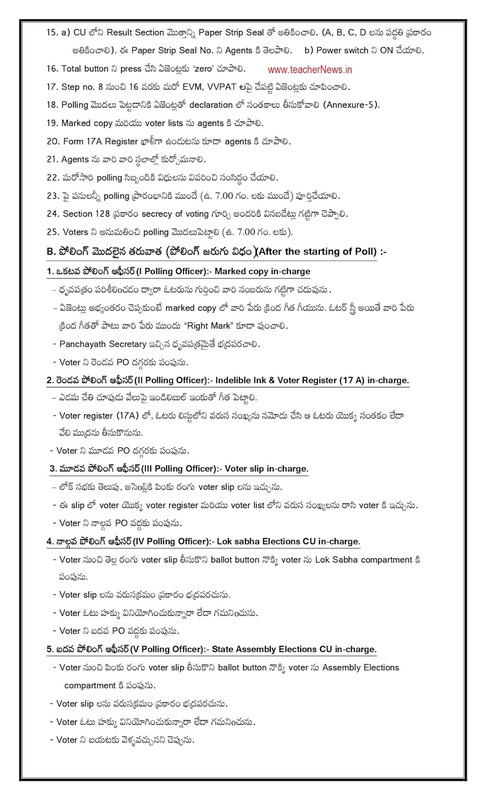 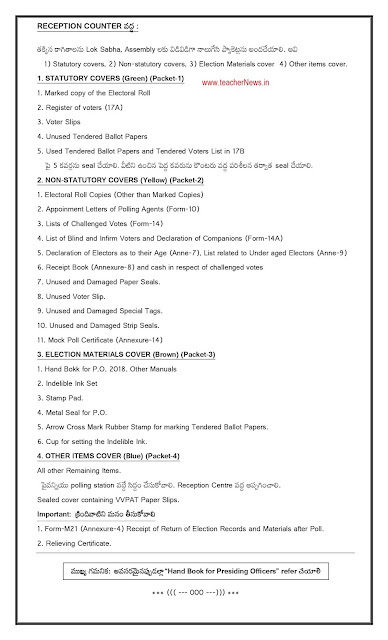 Polling Officers Duties Before/ Polling Day/ After Polling in Telugu, Polling Team Activities on April 10th and 11th, 2019. 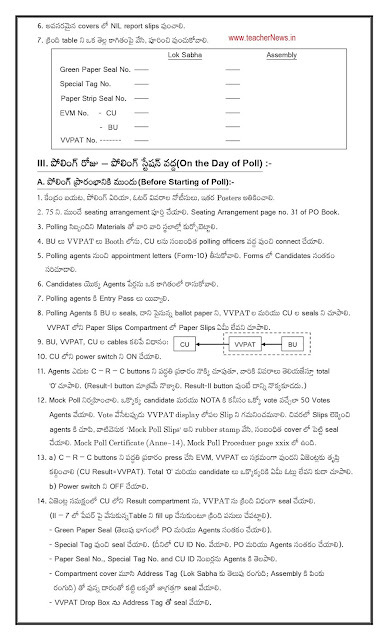 Download PO, APO, and OPO Duties and Forms in Telugu.